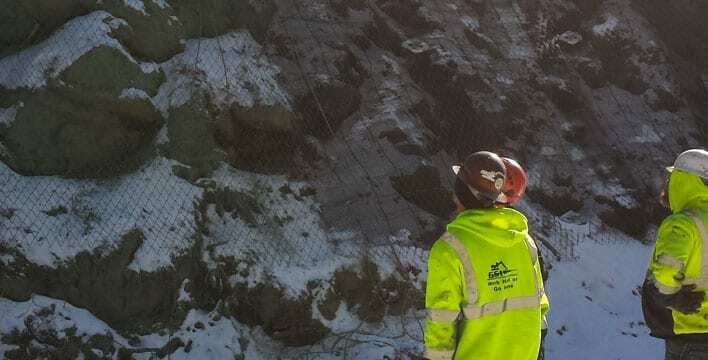 High capacity, Galfan® coated or galvanized steel wire mesh (rockfall mesh) can be used with or without post-tensioning to provide heavy erosion protection and translate soil nail forces into problem rock and soil slopes. 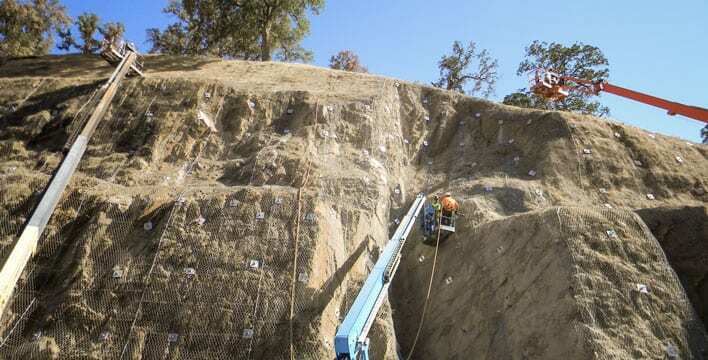 These systems can provide an economical and “green” alternative to shotcrete in many applications. High Performance Netting (HPN) and HPN+ are the only high-tensile mesh products on the market with minimum 150 kN/m isotropic strength. 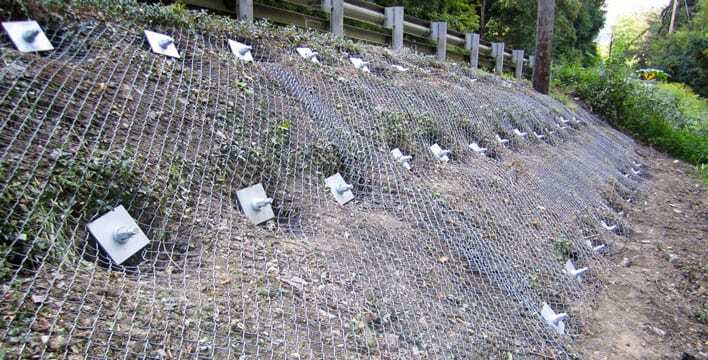 They were developed for use in anchored mesh systems to help mitigate shallow landslide and control slope erosion. The mesh consists of a 4.6 mm high-strength, ZnAl galvanized, steel wire with either 50 mm or 60 mm openings. The result is durable facing that is very resistant to corrosion and mechanical wear. Load transfer from the mesh to the launched or drilled nails is established through robust plates with the possibility of positive or non-positive connections to cables where extra strength is required. 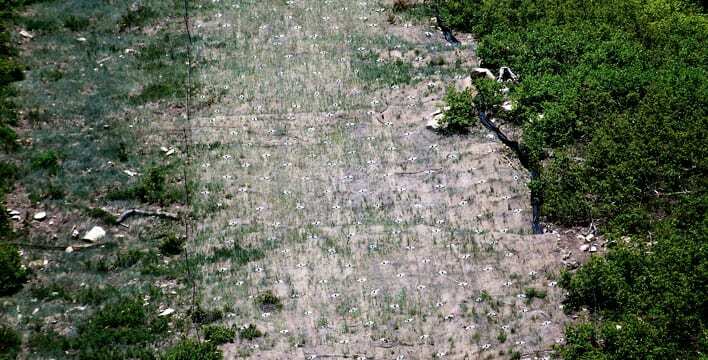 Like all other mesh products, it allows the slope to drain freely and encourages re-vegetation, especially when applied with other bio-reclamation techniques. 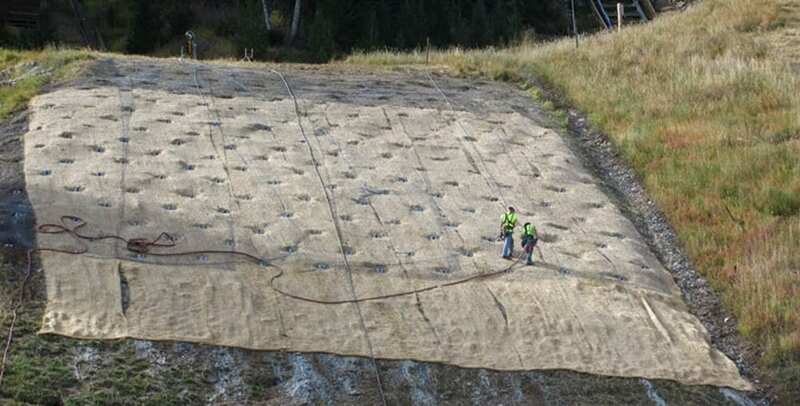 MacMat® is a three-dimensional permanent erosion control mat composed of UV stabilized, non-degradable synthetic fibers with an additional structural skeleton of Maccaferri’s double-twisted steel wire mesh within the polymer matrix. MacMat® immediately increases the soil’s resistance to erosion by providing an environment that enhances the growth of vegetation through the mat. Supplied in rolled form, MacMat® can be anchored to the slope surface using launched or drilled soil nails. Topsoil can be brushed into the voids within the matrix. Seed can be applied to the surface before or after MacMat® is installed as vegetation will develop unhindered by the matrix. 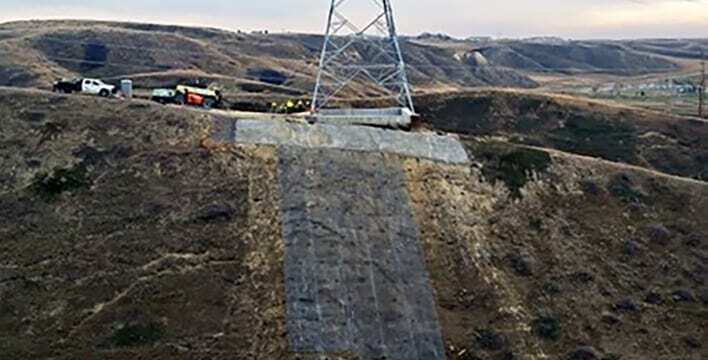 One of the strongest mesh systems available today, the TECCO® slope stabilization system stabilizes steep, weathered slopes in place of concrete or shotcrete surface treatment and conventional heavy net systems. 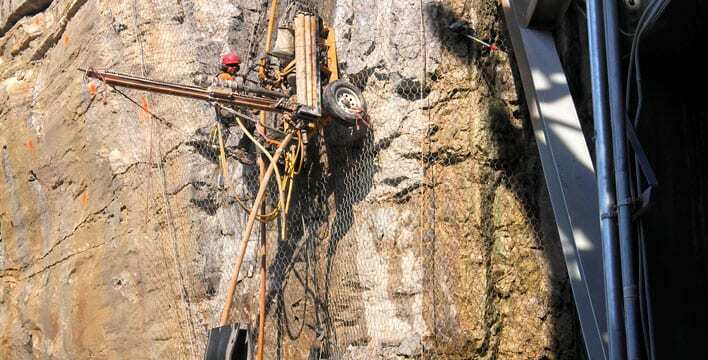 After cleaning, trimming and leveling the problem slope, the surface is covered by a high capacity steel wire mesh which is tensioned at a defined additional torque force via previously launched or drilled nails and plates. 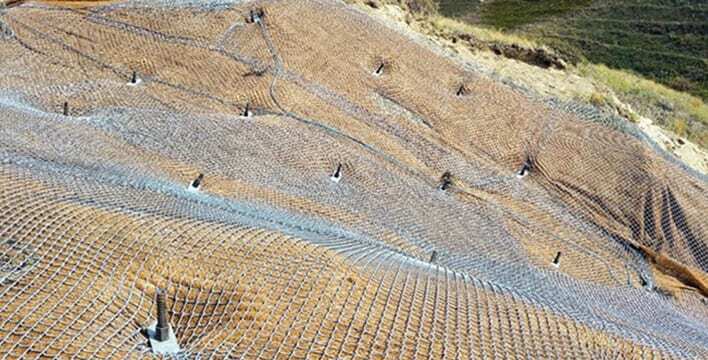 The mesh fits tight to the slope, preventing shallow sloughing and erosion. 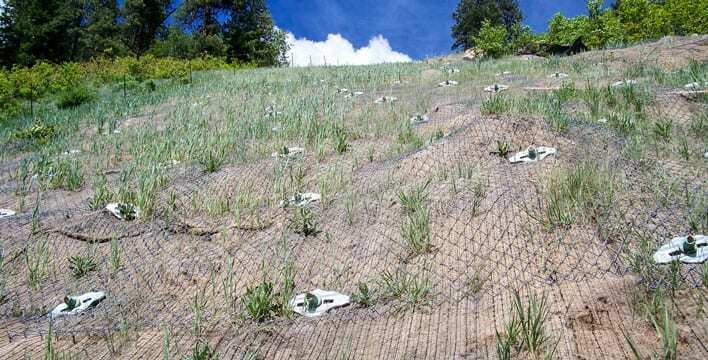 Most importantly, with proper application of fertilizer, seed, and erosion matting or hydromulch, the TECCO® system allows for vegetation to establish on the slope, eventually covering much of the mesh. The TECCO® slope stabilization mesh owes its high mechanical strength to an alloyed, high-tensile 3mm steel wire with 12 individual meshes per meter.